Airspan and Sprint selected as the winner of “Best Mobile Technology Breakthrough” at GLOMO 2018 Awards. 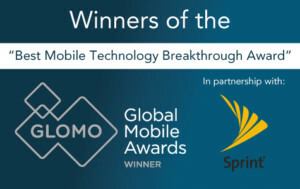 Airspan and Sprint are proud to have been selected as the winner of the Best Mobile Technology Breakthrough award in recognition of the ground breaking and successful mass deployment of the first all-wireless indoor small cell, the Magic Box, specifically designed to improve network efficiency, increase data speeds and enhance user experience. Airspan quote: “Our partnership with Sprint makes real the long-promised abilities of small cells to improve network efficiency and cost-effectively expand network coverage and capacity.” said Eric Stonestrom, CEO Airspan Networks. The Magic Box finally answers the call for a self-installed, low cost, high-performance solution to network coverage issues. The Best Mobile Technology Breakthrough award highlights the contribution that Mobile Operators, manufacturers, and suppliers make to increase mobile usage, expand the user experience, and help expand business opportunities. This very wide-ranging category includes components, microprocessors, memory, chipsets, screens, audio, batteries, operating systems, APIs to name but a few and even looks at design innovation and form-factors. 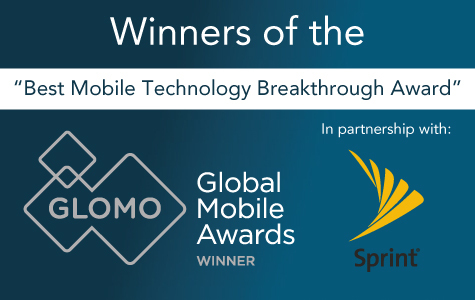 It recognizes the tremendous diversity of the global mobile ecosystem as it continues to innovate and add new dimensions to the customer experience and Sprint and Airspan are honored to be 2018 GLOMO award recipients.